Wavetec dedicates itself to ensure quality management in all its functions for this prestigious accomplishment. 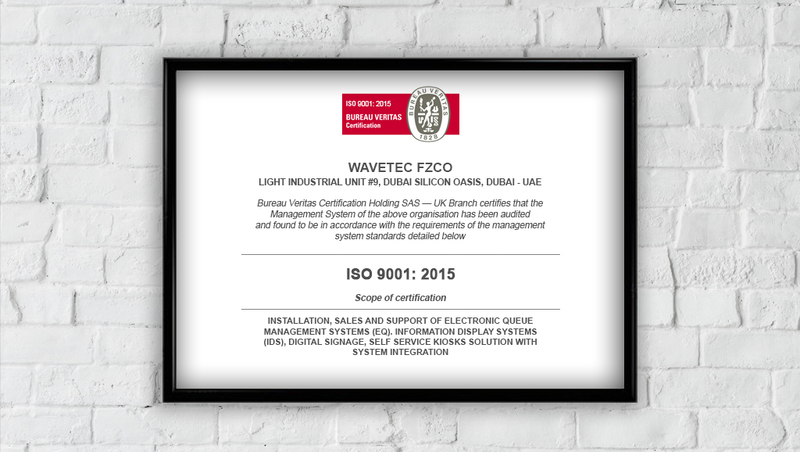 Wavetec has been maintaining the ISO standards since 15th September 2004. The latest ISO certification is based on the standards from the new 2015 guidelines. For more than 14 years, Wavetec has continuously focused on improving the quality standards in product design, customer support, and other business functions. With the goal of high-quality service and excellent management practices, Wavetec aims to take the business to the highest standards. We would like to take this opportunity to thank our clients for believing in us and choosing our solutions.